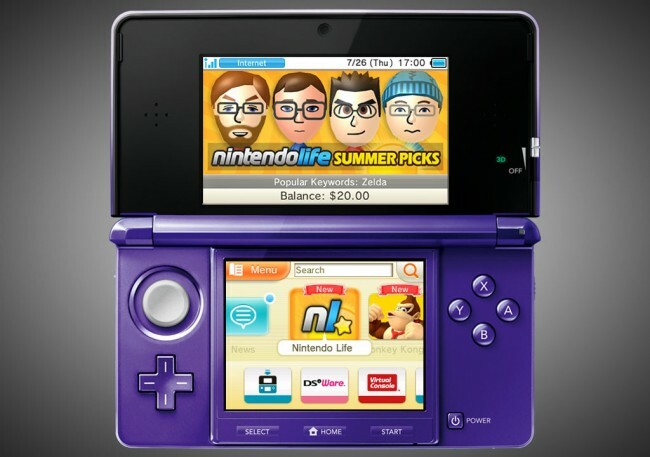 As mentioned previously, Nintendo Life has a shelf in the 3DS eShop, starting today and continuing on until next Thursday. If you go here you can see which staff member chose which five games. But I wanted to write a short post about why I chose to spotlight those games…and also provide the five more recommendations I would have made, had space allowed. Unquestionably one of my favorite games, period. I played this when it was fairly new for the PC, and was instantly won over by its affectionate visual tribute to the Commodore 64. Sharp writing, brilliant stage design and a perfectly utilized gravity-flipping gimmick were just icing on the cake. I almost mentioned the game’s stellar soundtrack in that sentence as well, but…no, the soundtrack deserves a sentence all to itself. It’s genuinely, impossibly, beautifully perfect music, and as silly as it might sound, the game is worth playing just for that. Even if you end up despising it — which I truly doubt you, or anyone, would — the soundtrack guarantees that the experience simply can’t be a waste of your time. To speak at all of the game’s plot is to detract from the unfolding wonder and surprise of the VVVVVV experience, so let’s just say it’s great and leave it there. When I found out it was coming to the 3DS I couldn’t wait, and I wasn’t disappointed. It’s a stellar port of an unforgettable game. I’ll be honest here: I expected to hate this one. The developer never impressed me in the past, and so when they released this deliberately simple and warily inexpensive score attack game, I thought it was going to be a complete phone in. 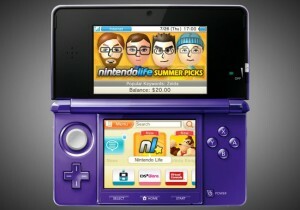 Instead it became one of the most pleasant surprises I’ve had on the 3DS. Bird Mania 3D is fast-paced, satisfyingly challenging, and urgently addictive. You’re ostensibly guiding a left-behind little bird to Africa, so that he can reconnect with the rest of his flock, but since it’s an endless game you’ll never achieve that goal. The bird is fated to perish…all you can do is collect stars and balloons along the way, racking up as many points as you can before his inevitable crash. It sounds dark, and I suppose it is, but it’s hugely entertaining, and infinitely replayable. More like this, please. I picked this one up because it sounded a lot like VVVVVV. Aside from the fact that it’s another gravity-manipulation game, it wasn’t. And even the gravity manipulation is handled — and experienced — completely differently. As such, this turned out to be happy accident; I bought it hoping it would be one thing, and got something even better. 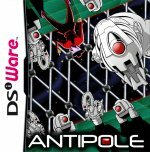 Antipole finds you flipping, floating and dodging through a hellish machinescape full of killed robots, death traps, and precision-demanding obstacle courses. That’s good enough — and it’s great fun just trying to make it to the end — but a more difficult mode, isolated challenge stages and copious achievements make this an even richer experience than it would have been. DSiWare without question had more than its share of garbage cluttering up the service, but this is one worth digging down to find. 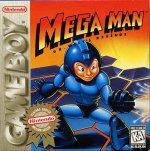 This is one of the few games I had for the Game Boy, and, surprisingly enough, it was the only Mega Man game I owned. (Apart from the unmentionable PC disasters.) While I loved Mega Man as a kid, for some reason I never had the games. I simply rented them all so many times that I could have paid for them 10 times over. And that’s why I have such a fondness for this one: it was mine. It’s a flawed little game with some annoying physics and an all-too-short adventure on offer, but I have a personal attachment that’s stronger than I have for most games. And, to be fair, it’s great for what it is. The stages are all reinvented for the Game Boy, meaning there’s surprisingly little overlap with the NES original. The music has also been rearranged to account for the different sound chip, making it sound just as great as — and in some cases better than — the source material. It’s a minor entry in the Blue (or, erm, Grey) Bomber’s catalogue, but brilliant all the same. Another(!) great surprise, Avenging Spirit is yet another platformer that tasks you with rescuing your girlfriend. Only this time, you’re already dead. Yes, you’re killed by mobsters before the game even begins, so it’s up to you to possess the living, using their abilities, weapons and strengths to wreak your revenge upon the villains who did you in. It’s a delightfully dark concept for such a cartoony game, and seeing the bodies you possess fall lifeless to the ground when you leave them never gets less chilling. It’s extremely challenging (noticing a pattern here?) toward the end of the game, but that just gives you greater incentive to push through and find new things. There’s one unlockable body you can get if you find all three keys, but the game’s main replay value comes simply from playing through the levels again and again, using different abilities every time, and having it feel like you’re playing a completely different game. Avenging Spirit is absolutely an experience worth having. There’s not much on offer here that you won’t find in the other Mario vs. Donkey Kong games, but the fact that it’s downloadable — and therefore always on your system — is recommendation enough for this puzzler. You need to manipulate obstacles so that the mindless mini-Marios can march safely through the exit, all in pursuit of the big dumb ape who stole your toys. It’s great in short bursts, and absolutely worth having on the go. It’s also — say it with me! — really, really hard. I can safely say that the number of Mario games I enjoy far outsteps the number that I don’t, regardless of the ever-shifting genre. His presence usually means a purchase is a safe bet, and that’s as true here as it ever was. The story is almost gleefully naive, but the adventure — not to mention atmosphere — is fantastic. 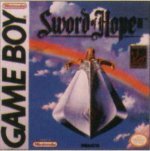 Sword of Hope II confusingly made it to the 3DS Virtual Console before its predecessor did, but I’m not complaining. It’s a classically-styled RPG with turn-based battles and massive amounts of weapons, items and spells. You guide the good Prince Theo along with several companions through a kingdom threatened by an unrelenting evil. So, yeah, the plot is nothing of note, but the experience of playing through it is fantastic. It’s a step back in history…no, not to medieval times, but to a time when video games were just meant to be fun…and that’s a trip I’m willing to take any time. Another of my original Game Boy games. I’ve always — always — adored this one. The first trip through the game is brilliant, light, sunny fun. The second trip is shockingly challenging. And beyond that you can configure the game so that it demands perfection and turns everything into a one hit kill. Funnily enough, Kirby’s never been more difficult than in this original adventure, which is so often wrongfully derided as being kiddy, or too easy. If this is kiddy, then I don’t want to grow up. (Also…I don’t want to grow up.) 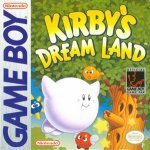 Kirby’s been in more great games than I can even count, but there’s an effortless beauty to his original outing, and, for better or worse, this is how I’ll always remember him. The Metroid series has tried a lot of things over the years. From loose, unguided exploration to first-person shooting to linear battlefests (to, uh, pinball…) just about every game offers a unique experience. Its singular Game Boy outing, however, manages to stand apart even from that disparate group. It’s not survival you’re after here…it’s xenocide. 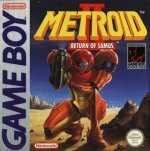 Samus is tasked with hunting down and exterminating, one by one, every remaining Metroid in existence, and that gives this game an impressively dismal feel. You worm your way through caverns and tunnels, slaughtering tiny aliens as you go, and watching the Metroid population diminish. It’s not exactly the case that Samus becomes a cold blooded killer in this one, but the experience is, by definition, guided by bloodlust, and that’s not a common theme for a game developed in-house by Nintendo. It’d be worth playing for its novelty alone…the fact that it just so happens to be a fantastic gaming experience as well makes this unmissable. Mr. Driller — an offshoot of the classic Dig Dug series, though rightfully classic in itself — is simple: you drill. Fast. It’s a sort of reverse Tetris that relies on destruction and speed rather than organization and wise consideration. The longer you take, the more your oxygen diminishes…but the faster you drill, the more likely you are to cause a cave-in that ends your game outright. This version features more levels than I’ll ever be able to finish, but that’s okay; Mr. Driller isn’t about succeeding, or even surviving. It’s about reflex, and immediate decision making, as well as constantly dealing with the fallout (pun intended) of your past decisions. It’s a slight experience by design, but it’s limitlessly satifying.